Ever since I began working at the FBO at Provo Municipal Airport in Utah, I have been exposed to all kinds of aircraft ranging from small piston engine airplanes to large commercial jets. I’ve had the amazing opportunity to get an up close and personal view of hundreds of airplanes and I get to touch them and everything! 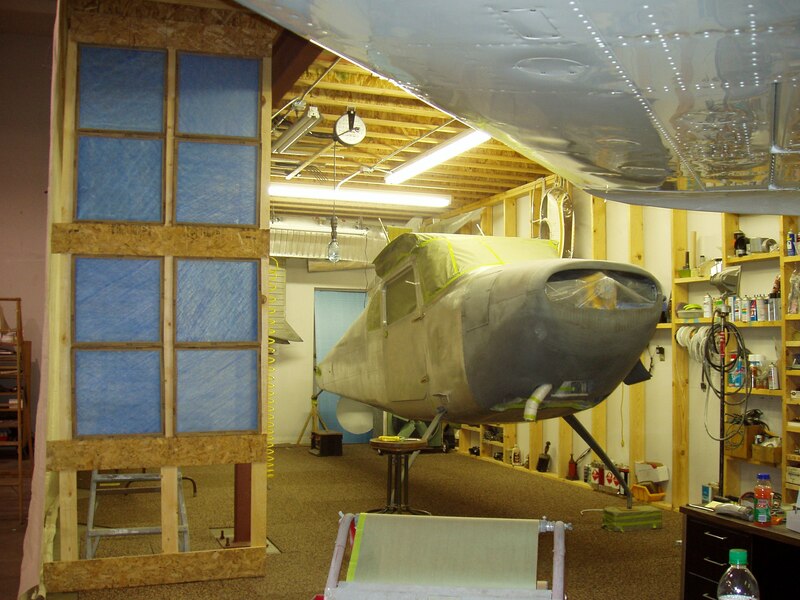 I grew up around small airplanes so I thought I knew a lot about them. I quickly discovered that I didn’t know as much as I thought I did and I was out of my realm. So I started doing Internet searches of each airplane that came in so that I could at least learn the names of them. Eventually this turned into setting a goal of learning about one new aircraft every single day. This went on for almost a year. 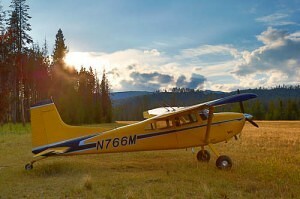 I learned a lot but as I felt more and more comfortable with my aircraft identification, my goal began to slip. So this is my attempt to bring it back! As this is my first article, I thought I would write about one of my favorite airplanes. The Cessna 185 Skywagon. There’s a pretty good chance that I was brainwashed as a child into thinking this is the coolest airplane out there. But as I grew up and learned more and more about aviation I have found that my dad was right to brainwash me! This really is one of the coolest airplanes on the planet! 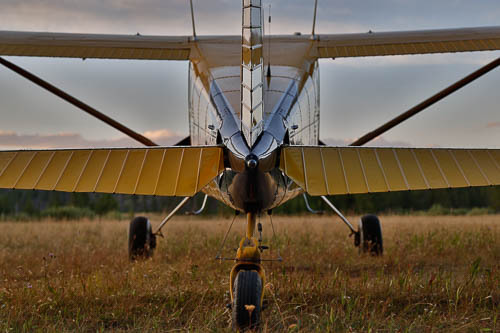 The Skywagon entered production in 1961 as the Cessna 180’s beefier and stronger little brother with the main differences being a stronger fuselage and a bigger engine. These upgrades made the airplane extremely capable and versatile. 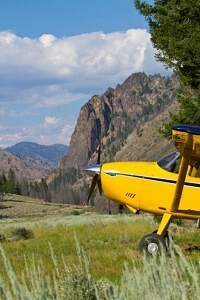 Many people (my dad and I included) enjoy the use of the Skywagon in the backcountry. The 185 is a rugged bush plane allowing it to land in many places “normal” airplanes cannot. Pavement, grass, dirt… you name it – she can do it! And with the capability of being equipped with skis or floats, she becomes quite the machine! Equipped with a Continental IO-520 engine, the Skywagon puts out 300 horsepower, which makes for a pretty mean machine! She needs it too. Many people rely on this sturdy platform to transport people and freight over high mountains and off of short runways. The 180 in the paint booth. I have many memories of Skywagons in my life. As a child, I would spend my Saturday mornings helping my dad with the restoration of an old 1955 Cessna 180. I even have memories of going on its maiden voyage. I loved the airplane and we traveled all over in it. Eventually, my dad decided to sell it… I remember being confused and sad about it until he replaced it with the 185. The new (to us…) airplane quickly filled the empty void and we have enjoyed her for years. This particular Skywagon was used by the US Department of the Interior in Alaska. We have taken her to places ranging from Baja, Mexico to the wilderness of the Idaho backcountry. She’ll be down for a while this winter while we get her engine overhauled… but she’ll be back at it for next spring as I attempt to convince my dad we need to take her home to Alaska! I have been lucky enough to have many experiences with the 185 in my life. I’ll probably say this about every single airplane I write about… but I plan to own a 185 someday. I want to continue to enjoy the many opportunities it has given me and hopefully share some of that with others as well. Not only that but when my dad is too old to fly, he might need me to chauffer him around!